1. Sepsis Data Report (2016). Centers for Disease Control and Prevention. The financial burden to the health care system is extremely high as well. Hospital costs incurred due to sepsis in 2011 exceeded $20 billion.1 The average cost per hospital stay for a sepsis patient is over $18,000, almost double the average cost per stay across all other conditions.1 Severe sepsis could result in a longer length of stay from 6 days to 17 days, exceeding $53,000 per episode. 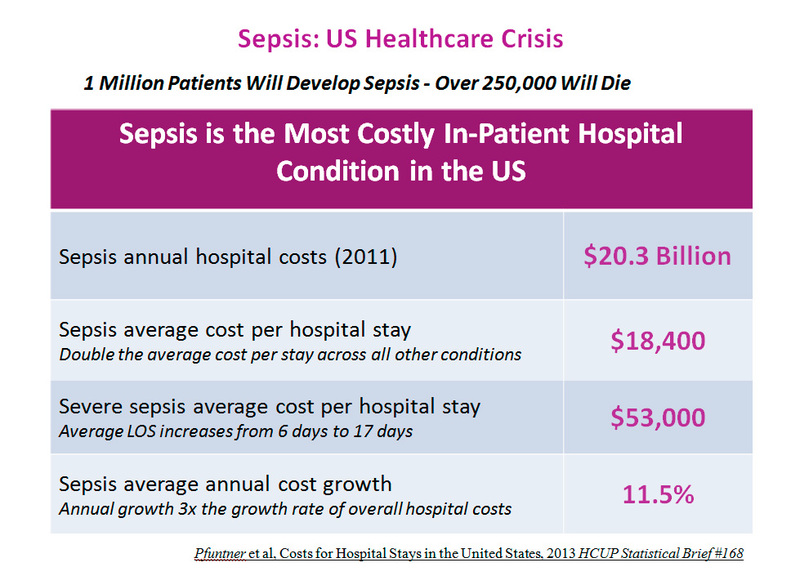 Furthermore, sepsis is a key quality measure that impacts healthcare reimbursement. The Centers for Medicare and Medicaid Services (CMS) includes Post-Operative Sepsis as one of the eight components in the methodology to calculate a Total Hospital-Acquired Condition (HAC) score for each hospital. Hospitals with a Total HAC Score in the lowest performing quartile are subject to a one percent payment penalty. In addition, the CMS Hospital Inpatient Quality Reporting (IQR) program includes Sepsis and Septic Shock Management Bundles (NQF #0500) as one of the core measures upon which the Inpatient Prospective Payment System (IPPS) is based. 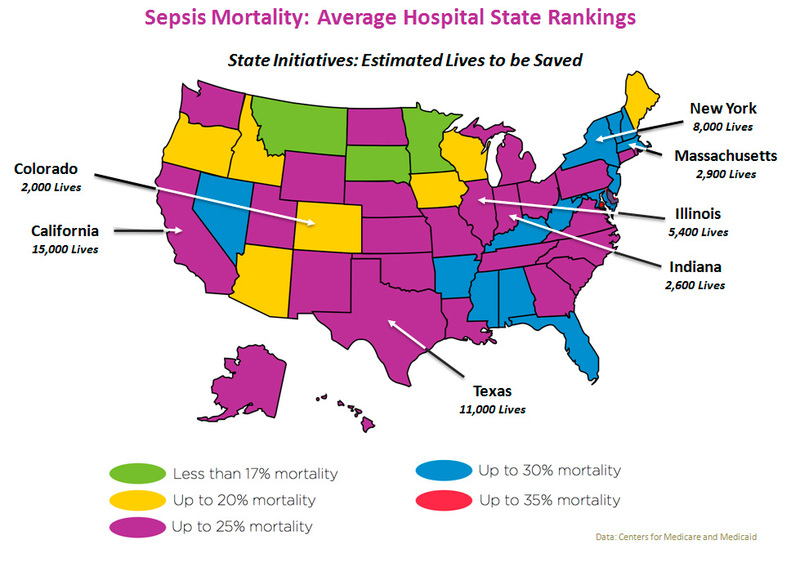 The Mission of the Coalition for Sepsis Survival (C4SS) is to significantly impact sepsis mortality and morbidity by leading state initiatives to build sepsis awareness and best practice treatment. Our initiatives will bring together in partnership, local communities, health care providers, hospital and medical associations, leading businesses, and insurance companies to decrease sepsis mortality to best practice rates or below. Several reports suggest that implementation of the Surviving Sepsis Campaign (SSC) International Guidelines for Management of Severe Sepsis and Septic Shock (2016) guidelines is associated with a reduction in sepsis mortality. However, compliance with the guidelines and sepsis bundles remains low resulting in a wide variance in sepsis mortality rates within hospitals across the country. 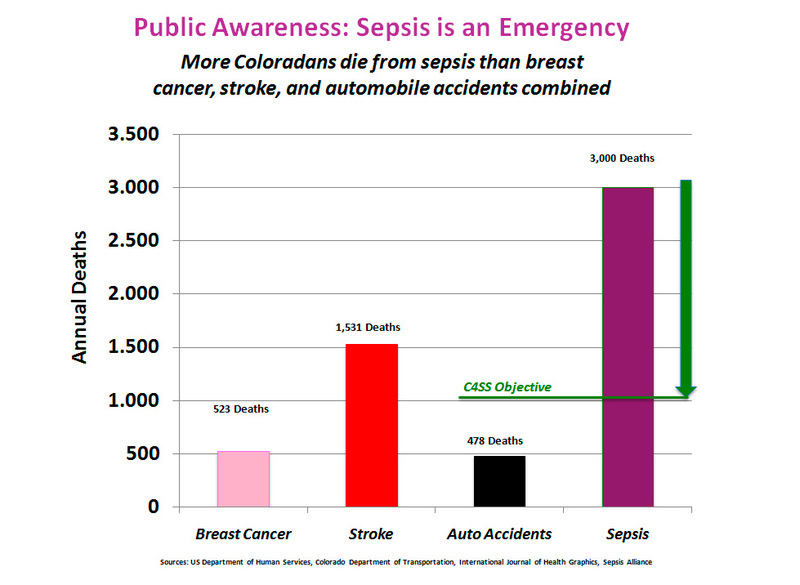 In Colorado, the mortality rate associated with sepsis may vary from as low as 7.3% to as high as 35.6%. 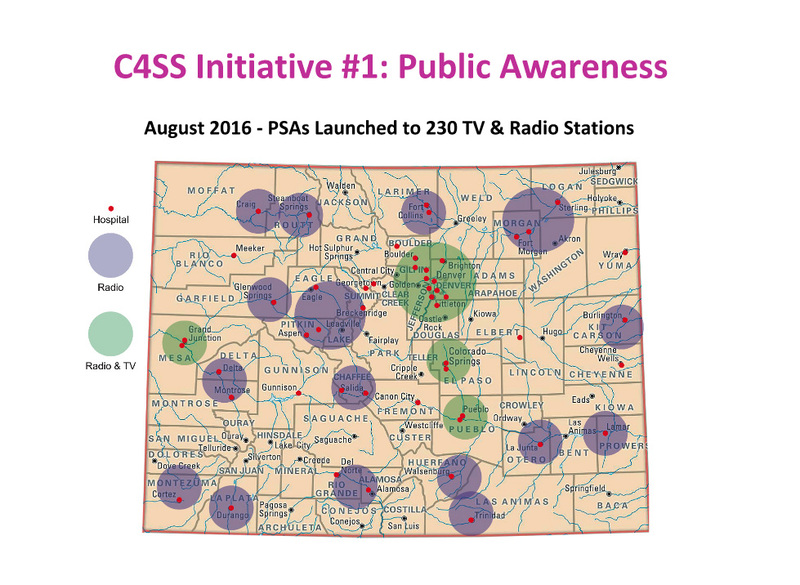 C4SS is partnering with local medical authorities and hospitals in the state of Colorado to study the factors impacting the quality of sepsis care with the primary goal of establishing best demonstrated practices. C4SS will conduct a facility-specific data analysis to systematically evaluate the sepsis mortality reduction progress in your institution. Your organization is invited to participate in this Sepsis Survival Study. C4SS will identify and certify performance improvement service providers that offer the highest quality at an effective value that enables hospitals to achieve their sepsis quality and cost objectives. Effective sepsis management not only reduces patient morbidity and mortality, but it can substantially impact the financial status of the hospital by reducing the cost of care, length of stay, readmissions and ultimately increase reimbursement. For example, by lowering their current sepsis rate from 25% to 10%, a 300 bed hospital can achieve a profit contribution improvement as great as $3.2 million annually. 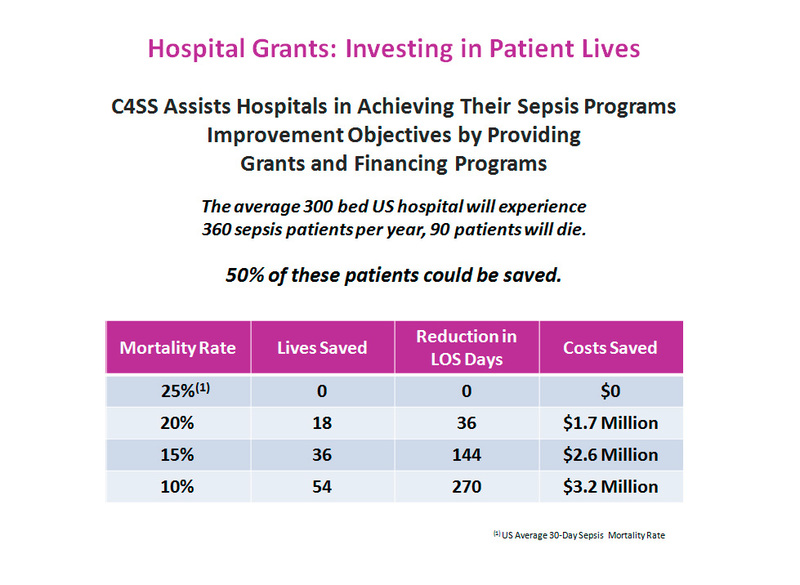 C4SS will provide education performance grants and financing programs to hospitals that do not have the current operating budget for implementing sepsis performance improvement initiatives. 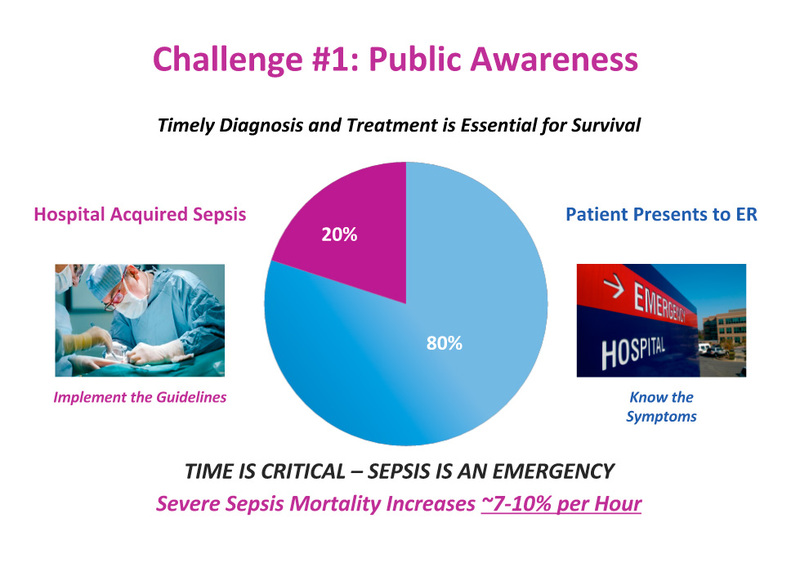 C4SS recognizes that some hospitals have limited operating cash flow, or are engaged in other clinical initiatives and are therefore unable to make the initial investment to start a sepsis improvement program. Based on hospital need and qualifications, C4SS can provide performance grants to allow the facility to be able to take the first step in making the commitment to reduce sepsis mortality. We can also link hospitals to business partners that can assist in program financing. C4SS will financially reward hospitals that significantly reduce sepsis mortality and improve their sepsis clinical performance in order to meet healthcare industry best demonstrated practices.